A trip to Ohio in January? Why not? 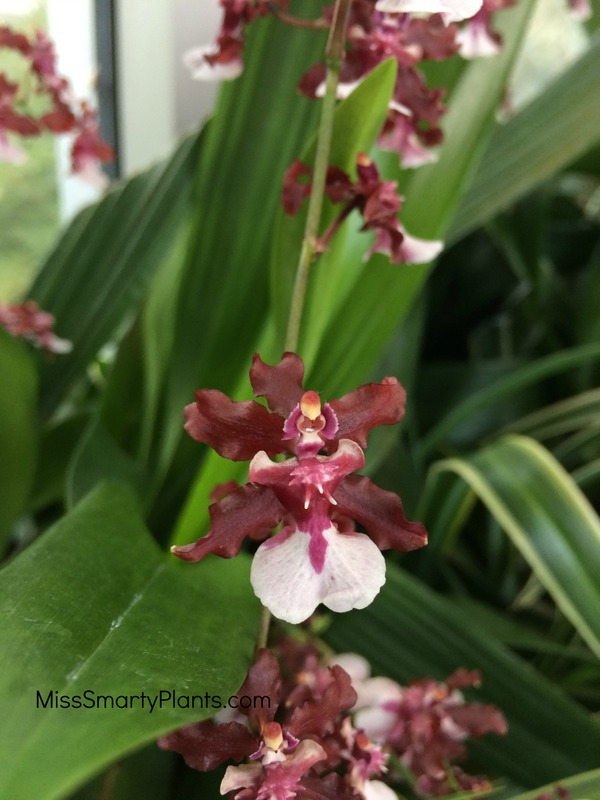 A couple of weeks ago now I flew to Columbus to speak at the Midwest Green Industry Xperience, MGIX, and had just enough time to sneak away from the convention center to see Orchids at Franklin Park Conservatory and Botanical Garden. The modern facade on the front is strategically combined with the very formal Palm House, build in 1895. The design of this grand Victorian-style glass greenhouse was influenced by the success of Chicago’s World Fair and Colombian Exposition in 1893. 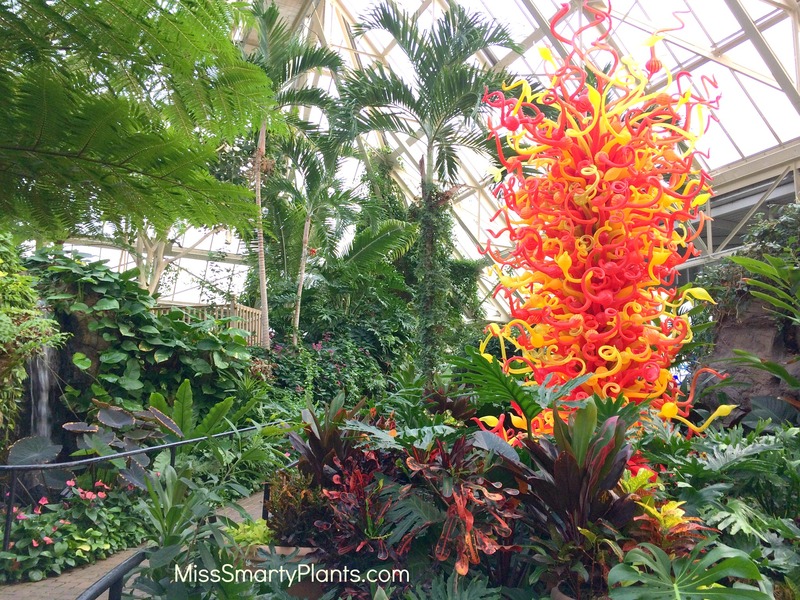 The high roofline of the Palm House let the tall palms grow, and even houses this glowing Chihuly glass sculpture. I arrived late in the afternoon and had just enough time to hustle my way through each of the greenhouses. I was happily surprised to find the Orchids exhibit was on display, and will be until March 7, and many of these beautiful flowers were in bloom. 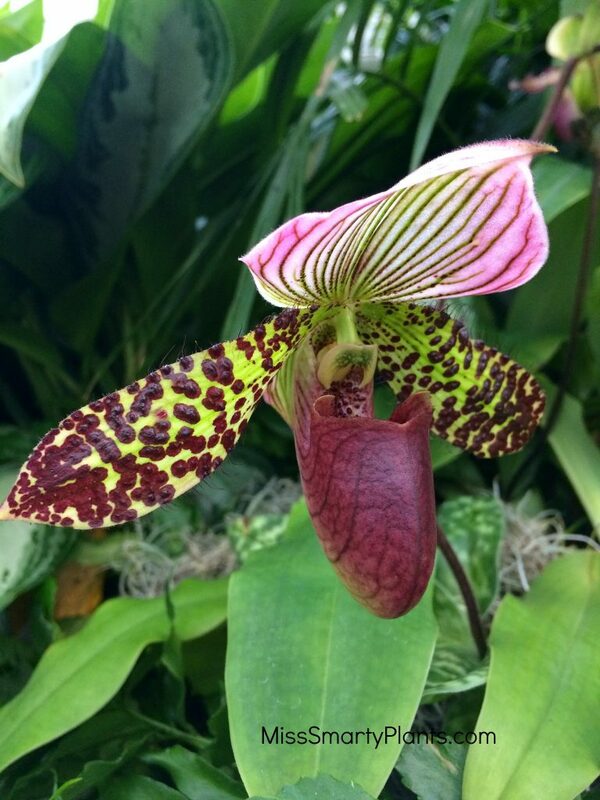 The Paphiopedilum orchids were one of the first stops for me in the Orchids at Franklin Park Conservatory display. There is an irresistible appeal to these lady slipper orchids that I can’t resist. Their beautiful colors and details are so intriguing! 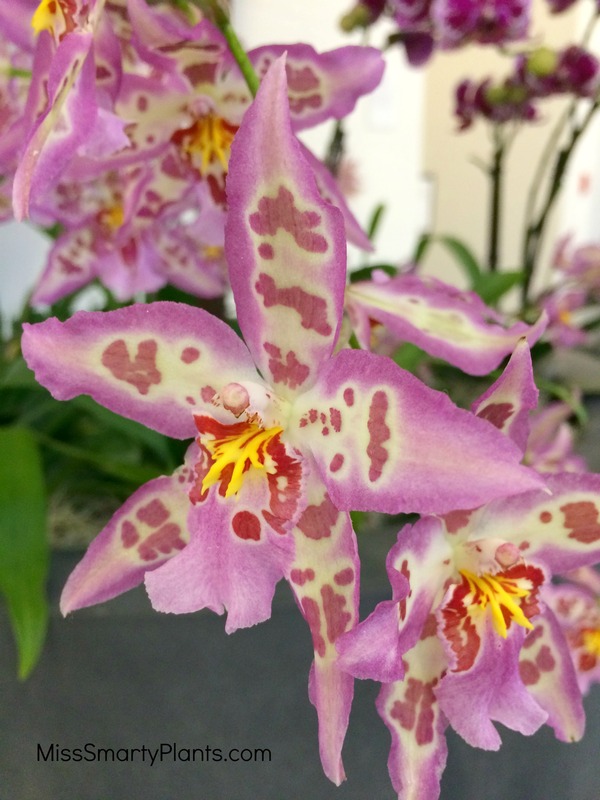 Oncidium ‘Sharry Baby’ is one of the few orchids with a sweet scent. With the unique smell of chocolate, the spikes have dozens of individual flowers which release the sweet smell to attract pollinators. 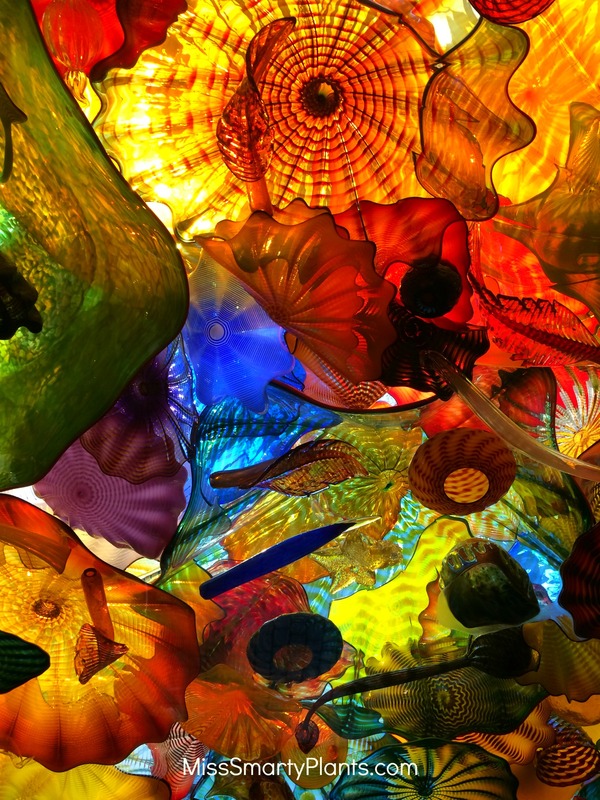 I learned that in 2003, Franklin Park Conservatory hosted a Chihuly exhibit. Lucky for visitors today, many of these pieces were purchased by the Friends of Franklin Park Conservatory and are now on permanent display. My late afternoon visit on a cloudy day was a perfect time to appreciate the beautiful glass pieces. This piece reminds me so much of the Bellagio ceiling in Las Vegas, filled with beautiful discs of color. A skylight behind the piece makes it glow with color. 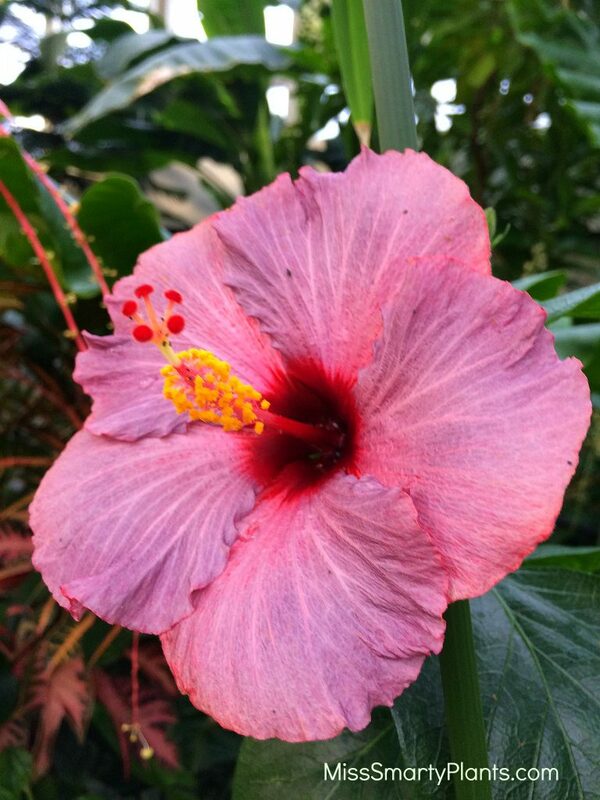 For a gloomy winter day, the sites and sounds of a tropical greenhouse were perfect. The hibiscus, tropical heliconias and gingers were all flowering and brightening the Pacific Island Water Garden greenhouse. 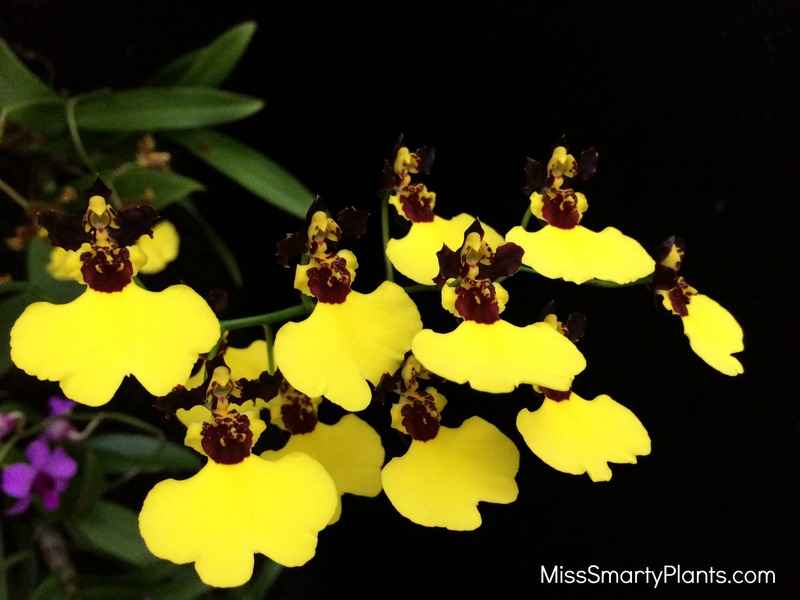 These oncidium orchids are often called “dancing ladies.” With their wide yellow “skirts” and outstretched maroon arms at the top, it doesn’t take too much imagination to see their namesake. 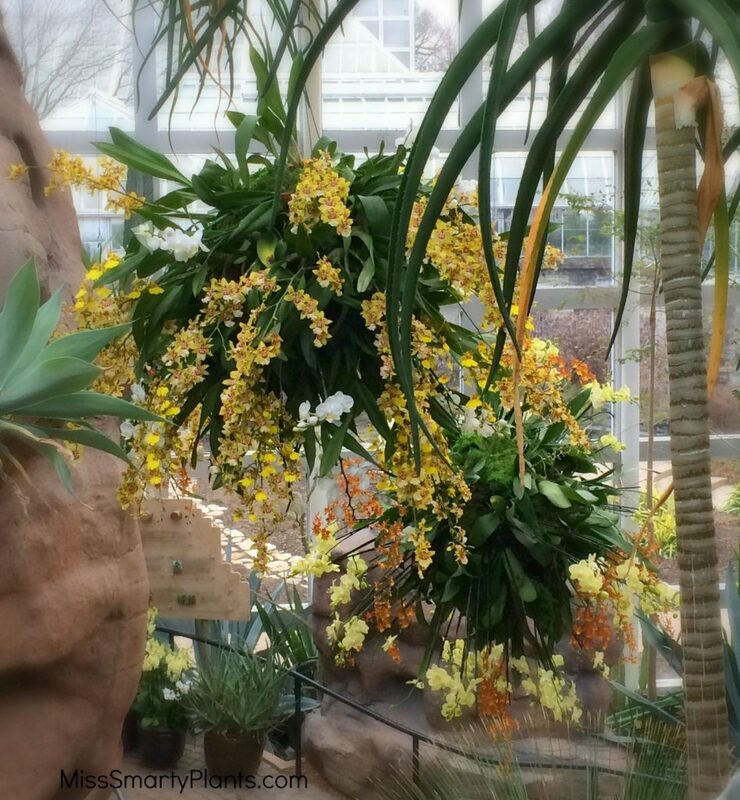 In the different biomes of the Franklin Park Conservatory, specific orchids were chosen for their connection to the specific habitat. 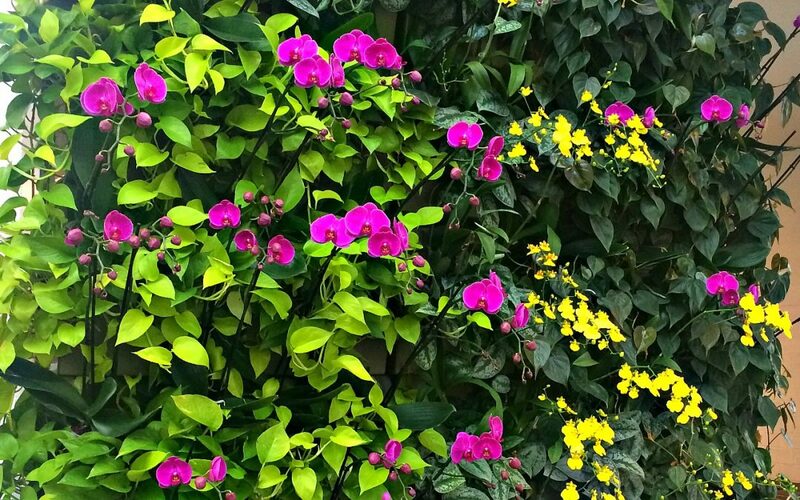 The Himalayan Mountains section of the greenhouse is much cooler than the others, yet the perfect mix of orchids were highlighted. This mix of cymbidium orchids prefer cooler weather (some actually need a cool period to flower), and were presented beautifully. 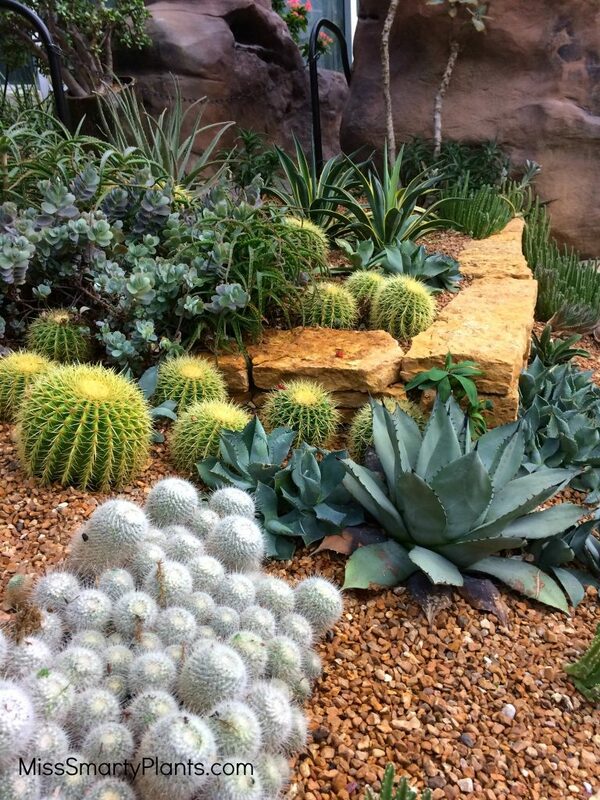 The Desert greenhouse was very tidy and well done. I usually find myself disappointed in most desert-themed displays, but this was really nice and the orchids were tied in beautifully! I can’t say that there was anything specific here, but the overall quality was memorable. These suspended orchid displays seemed to fit in, which is really amazing, the desert landscape. The oranges and yellows that were chosen seemed almost like a bright sun hanging in the sky. 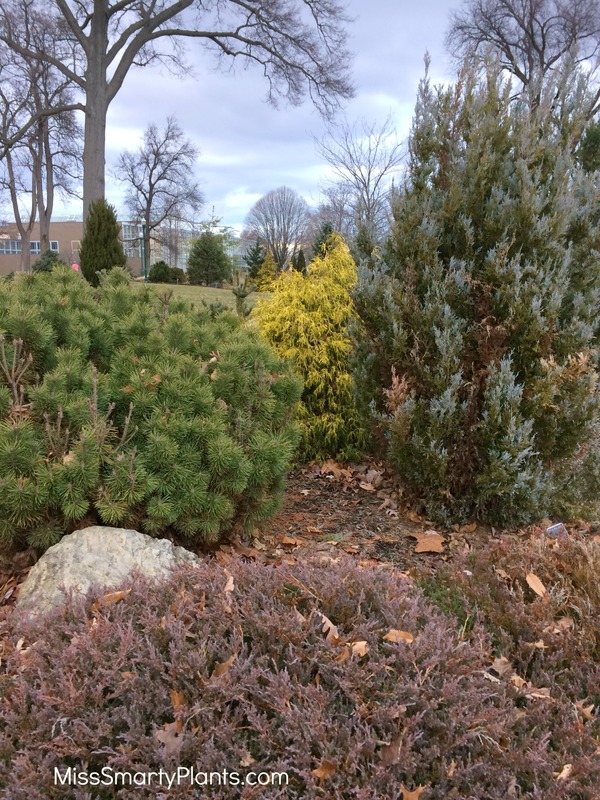 Outside the conservatory I had to make a quick walk to admire the conifers and ornamental grasses. “Winter Interest” is a foreign concept in Florida, but I appreciate these beds that still were interesting to see. The colors of the conifers were magnified by the dark skies. 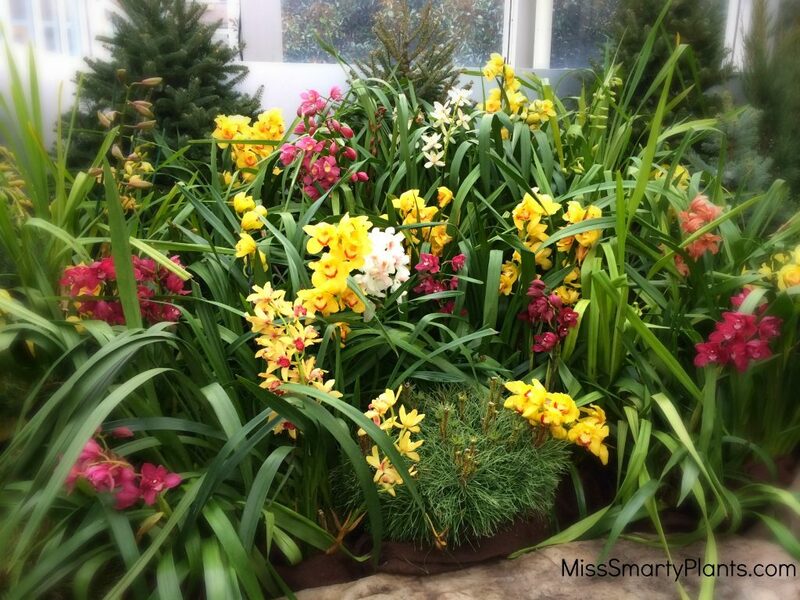 If you are in the Columbus area, take the time to go see Orchids at Franklin Park Conservatory this winter. I recommend giving yourself plenty of time to stop and appreciate all of these delicate flowers and to walk around the gardens outside.